Revisiting and expanding on our 2010 offering, this publication is a longitudinal study of personal, intercultural and career development based on a survey of AIFS alumni from 1990 to 2017. In today’s competitive economy, it takes more than a college degree to convince employers that graduates are ready for the workforce. This paper, from IIE and the AIFS Foundation, synthesizes leading-edge research to demonstrate that in this globalized era, study abroad has become one of the most powerful ways to prove to employers that graduates have in-demand skills for the contemporary workplace. This paper outlines best practices for high education institutions, industry, and graduates to better articulate the value of study abroad for the contemporary marketplace. Studying abroad equips students with real-life, hands-on skills that no classroom can match, while opening up a world of personal and professional opportunities. 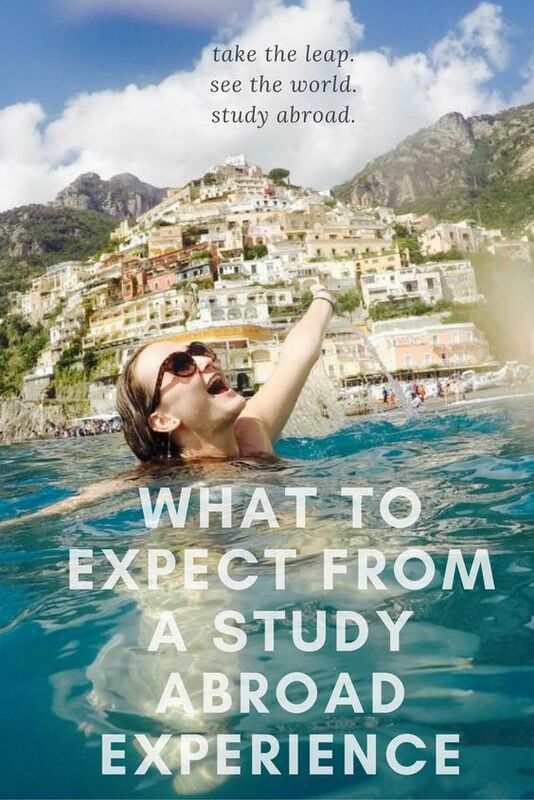 This book, co-authored by international careers expert Stacie Nevadomski Berdan, International Institute of Education (IIE) President Allan Goodman, and AIFS President and CEO William L. Gertz, contains critical information parents will need to inform themselves, as well as support their high school or college student as they navigate the study abroad experience. Full of practical information written specifically for parents, the authors make a strong case for the importance of parental involvement that can influence and shape a successful cross-cultural experience. Created in collaboration with Terra Dotta, our User's Guide provides an overview for advisors on updating their school's study abroad program offerings on the StudioAbroad Directory. Studying abroad offers students competitive advantage and cross-cultural competence that open up a world of career opportunities, say three leading experts in study abroad. Highlighting the impact of globalization, international careers expert Stacie Nevadomski Berdan, IIE president Allan Goodman, and AIFS founder Sir Cyril Taylor make a compelling case for why global experience matters in today’s job market. Their comprehensive and practical guide, published by the Institute of International Education and the American Institute For Foreign Study Foundation, is equally useful for students, parents, educators, career counselors and study abroad advisers. The autobiography of Sir Cyril Taylor, AIFS Founder and Chairman. Sir Cyril reflects on his life and accomplishments during his long and distinguished career in education and public service in the U.S. and U.K. This publication compiles and examines the results of the AIFS Outcomes Survey, a study we conducted of our study abroad alumni from the last two decades. This report describes and analyzes how alumni regard the impact of their study abroad experience on their personal and professional lives and documents program participation trends between 1990 and 2010. It also examines international education trends and ways in which to prepare students for the global marketplace. The goal of this Guide, written by Martin Tillman, is to provide students with a framework to understand the impact and added value of study abroad for their career development. Regardless of duration or destination, we believe students will benefit from considering the career implications of their decision to study abroad. Innovative Approaches highlights the academic features of AIFS programs, the assessment process that has been established, and the support AIFS has provided to the field of International Education over the past 50 years. In September 2010, AIFS and Diversity Abroad sponsored a workshop held in Washington, D.C., for the purpose of creating initiatives to increase minority participation in study abroad. 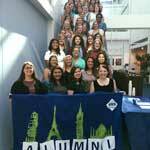 Over 100 study abroad leaders from colleges, universities, and national organizations attended this event. The Summary Report from this workshop details the reflections and recommendations of the participants for increasing diversity in study abroad. IIE and the AIFS Foundation have teamed up to create a series of Global Education Research Reports. Forwards are written by Dr. Alan Goodman, President of IIE, and William L. Gertz, President and CEO of AIFS. Ninth in the Global Education Research Reports series, published by IIE and the AIFS Foundation, Asia: The Next Higher Education Superpower? critically examines the local and global trends driving higher education policies in Asia and their impact on the local and regional knowledge economies. Featuring an impressive group of leading scholars, practitioners, and education policy experts these chapters look at how governments, universities, the private sector, and international organizations are responding to recent trends and meeting the diverse challenges and opportunities across the region. This volume is edited by Rajika Bhandari, IIE's Deputy Vice President for Research and Evaluation, and Alessia Lefébure, Director of the Alliance at Columbia University and Adjunct Professor at Columbia’s School of International and Public Affairs. The eighth report in the series, Women in the Global Economy: Leading Social Change explores the landscape of women’s participation in the economy and the key role that women play in fueling economic growth by creating stable societies. The book notes the trajectory of transformation that has gained a foothold in recent years, where investing in women is increasingly seen as a driver for social and economical development. The report also calls attention to significant challenges that continue to present themselves in the form of discriminatory laws, regulations and business conditions, along with women’s lack of property rights. 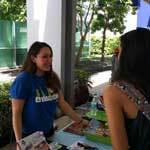 The last few decades have been a time of impressive growth and change for higher education in Latin America. Latin America's New Knowledge Economy, the seventh in a series of Global Education Research Reports published by IIE and the AIFS Foundation, reviews the policies, institutions, and programs that helped bring about these changes, as well as their outcomes in terms of access, workforce training, and research. Key issues discussed include: higher education’s role in advanced workforce development; trends in academic mobility and outcomes for brain circulation; government-sponsored study-abroad scholarship programs; investment in the region by U.S. universities and corporations; policy responses to challenges of access and equity; and U.S. government exchange programs with Latin America. The book also includes an introduction by editor Jorge Balán, which provides historical and comparative context and reflects on the major dilemmas faced by public policy in higher education in the last decade. In the sixth report in the series, Developing Strategic International Partnerships: Models for Initiating and Sustaining Innovative Institutional Linkages, experts and practitioners from a wide range of higher education institutions and organizations capture the current dynamism and broadened scope of international academic partnerships. This book compiles a panorama of mutually beneficial partnership programs from across the globe, and features recommendations, models, and strategies for initiating, managing, and sustaining a range of international linkages. It also illustrates the myriad ways in which international partnerships enhance, and even transform, the institutions that participate in them, aiding in long-term goals of campus internationalization and preparing students for entry into the global workforce. In the fifth report in the series, the authors describe and analyze current information on how and why students choose their study abroad destinations and how national policies impact students’ decisions. It provides a thorough analysis of the Exchange Visitor Program in the U.S. and offers a comprehensive overview of the complexity of student mobility worldwide. In the fourth report of the series, Innovation through Education: Building the Knowledge Economy in the Middle East, authors from a wide range of institutions and organizations describe and analyze current innovations, trends, and issues that countries and institutions in the Middle East are facing as they move toward educational reform and devekopment, as well as exchange projects between Middle Eastern countries and the United States. The reportincludes discussions of institutional planning in the region, women's education, youth exchange, and Arabic language education, and offers a contemporary and erudite examination of global education in building the knowledge economy in the Middle East. The third report in the series, International India: A Turning Point in Educational Exchange with the U.S., is the only comprehensive volume in recent years to focus on U.S.-India higher education exchanges at a crucial juncture in this important relationship. In this report, Indian and American authors address wide-ranging topics including the process of internationalization and higher education policy debates within India, U.S. government and institutional strategies to improve Indo-U.S. higher education linkages, the growing study abroad relationship between the two countries, and the relationship between higher education, entrepreneurship and the success of the Indian diaspora in the U.S. The second report in the series, Higher Education on the Move: New Developments in Global Mobility, explores the effects of recent developments in higher education, the world economy, and government policy on global student and scholar mobility. Authors ask how these processes affect the most commonly discussed aspect of international education — the movement of students and scholars across national borders. IIE and the AIFS Foundation have teamed up to create a series of Global Education Research Reports. The first report in this new series, U.S.-China Educational Exchange: Perspectives on a Growing Partnership, focuses on educational exchange between the United States and China from multiple perspectives. It seeks to expand the range of information on U.S.-China academic exchange available to study abroad policymakers and practitioners. In this report, Dr. Steven W. Shirley examines the limited participation of male students in study abroad programs. Conducting an original survey and analyzing the data, he identifies factors that may influence participation by males and makes recommendations regarding the marketing of these programs to encourage more male students to study abroad. The Foundation publishes a booklet for study abroad advisors on topics such as diversification of study abroad participants, financial aid, technology, safety, faculty involvement and service-learning. 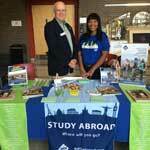 Entitled Study Abroad: A 21st Century Perspective, it focuses on study abroad issues at the dawn of the millennium. Innocents at home redux—the continuing challenge to America's future is an update of Denis Doyle's 1996 commissioned study, including the impact of the internet on international exchange and university/universal community. He reviews the reasons for Americans' appalling lack of knowledge of other cultures and recommends what to do to overcome these barriers (view the Executive Summary). For many years, sponsors of study abroad programs and on campus advisors alike have touted the many benefits of a study abroad experience in broadening a student’s resume and making the student "marketable" in the "real" world after graduation. Yet is it time we go beyond our intuitive belief that study abroad helps a students’ job search and point out what specific transferable skills a student gains from an overseas experience. This publication presents a number of different models for innovative study abroad and career development programs. It is clear, as the authors state, that rather then mimic their university counterparts in creating study abroad programs, international educators at the community college level must propose workable, financially feasible "career focused" programs.